I’ve rediscovered an old accessory obsession I used to have that is really calling to me this season. Namely, headscarves! I don’t know what happened, because I used to be obsessed with headwear of all kinds. Headbands, scarves, floral pins…You name it, I’ve dabbled. Maybe with my pink hair, I’ve felt less of a need to accessorize, but lately, I’ve been real smitten with the headscarf look. And there are so many different ways to wear them. Whether it’s getting my hair out of my face or just giving my look a bit of oomph, I have been donning many a headscarf this summer! 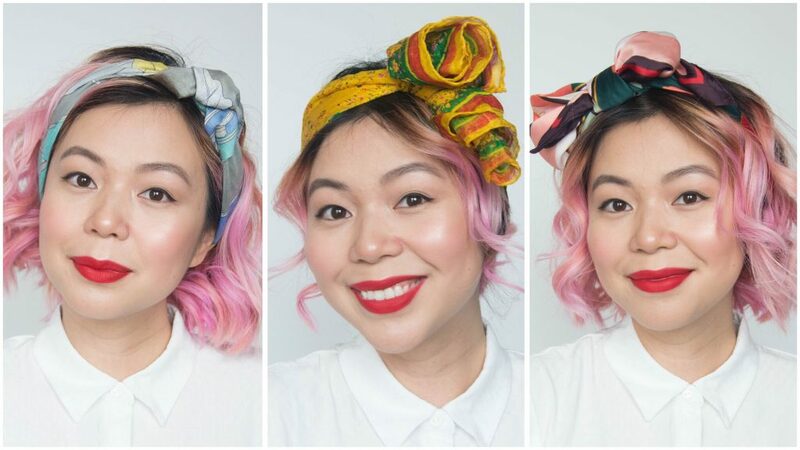 Here’s a few super simple ways to sport headscarves this season. To get this look, you should fold your scarf into a triangle and roll it up starting at where the two opposite corners meet. After knotting the scarf once around your head, tie a bow and fluff it as required. Fold your scarf in half and roll it up in the same direction as you folded. Wrap it around your head and tie it in a single knot. If your scarf is long enough, you can double knot it for extra security. Fluff the ends as desired. Fold your scarf into a triangle and roll it up starting from where the two opposite corners meet. Knot the scarf once around your head tightly, then knot it once or twice, more loosely. Tuck the ends underneath the scarf and pull on the knots to make them poofier. I know there are a million different ways to rock a headscarf look. 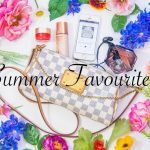 What are some of your favourite ways to wear them?